A serial killer discusses his 'art' with a guide as he descends into the depths of hell. The closing credits of Lars von Trier's attention seeking 2009 shocker Antichrist credited a 'Horror Movie Researcher' among its contributors. I guess Von Trier considers horror movies below him, even though he's more beloved by gorehounds than he would no doubt like to admit, and his 1994 TV series The Kingdom ranks with the best examples of small screen horror filmmaking. I'm also guessing that he hasn't seen movies like Man Bites Dog and American Psycho, or outside the horror genre, Woody Allen's Crimes and Misdemeanors and Chaplin's Monsieur Verdoux, as Von Trier's latest, The House That Jack Built, gives the impression that the Great Dane believes himself the first filmmaker to employ a crime drama narrative as a means of commenting on white male privilege. Von Trier makes the point early on that his protagonist, arrogant serial killer Jack (Matt Dillon), is able to get away with his crimes because his skin colour allows him to evade suspicion. Over 155 minutes, he labours this point over and over as though he's had some Eureka like revelation that has eluded all those before him. As Jack descends through the depths of a Tarkovsky For Dummies vision of Hell, he boasts of his crimes to an infernal guide, Verge (Bruno Ganz), comparing his handywork to that of an artist, quoting works of art and historical moments in the manner of a pub bore who just discovered Wikipedia. Jack relates five specific incidents from his serial killing career, and these gore-laden stories give the film the feel of a particularly gruesome horror anthology in which breasts are torn off, ducks are mutilated and taxidermy is performed on the corpses of small children. Each of Jack's victims is defined by a red coloured prop - a car jack; a shopping trolley; a set of MAGA style baseball caps; a telephone; and a hooded robe - and Jack himself gets around in a blood red van. Like everything in this film, the metaphor is decidedly on the nose, with Jack - who at one point rants about how women are always portrayed as the victim while cutting off a woman's breasts - thinking of himself not as the Big Bad Wolf, but as Little Red Riding Hood. 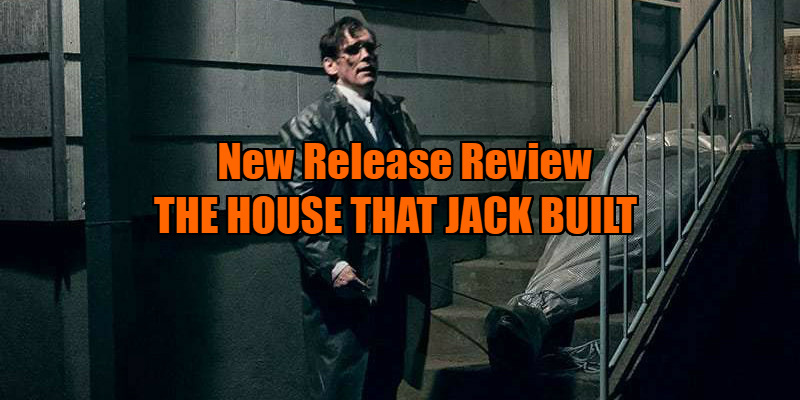 Von Trier goes so out of his way to make Jack unlikeable that the movie suffers heavily in its second half, by which point we're fully off the fence regarding any empathy we might have previously had for the obnoxious, self-absorbed killer. An extended scene involving a young blonde victim (Riley Keough) is rendered redundant by Von Trier playing it in the manner of a suspense sequence, psychologically putting us in the victim's shoes, yet we already know she's doomed. Far more successful are the film's earlier sequences, in which Von Trier cons us into rooting for Jack in that cinematic Stockholm Syndrome manner which all great filmmakers are capable of. A scene involving an inquisitive cop (Ed Speleers) who arrives at a house which has just been cleaned by the OCD suffering Jack, following his murder of the homeowner, is unbearably tense. Von Trier mines some effective black comedy from Jack's OCD and initial self-doubt, with the killer forced to return over and over again to a crime scene, tortured by the notion that he may have left some minute trace of his crime intact. It's as great an example of the comedy of repetition as you'll find in the work of more outright comedic filmmakers. 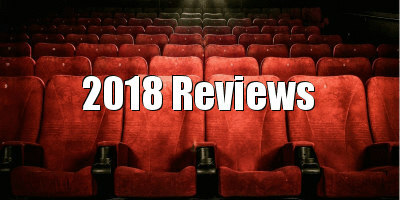 As Jack grows more confident in his ability to literally get away with murder, his OCD disappears and he begins purposely taking risks, dragging corpses around in plain sight, taunting cops who are too distracted by harassing black loiterers to pay heed to him, and screaming his murderous confessions from the balcony of an apartment block. It's clear Von Trier has nothing but contempt for his dual protagonist/antagonist, and this hatred hurts his film. I think filmmakers should have some degree of sympathy for their villains, otherwise they simply become one-dimensional vessels for their creator's personal bugbears, which is most definitely the case with Von Trier's Jack, who couldn't be more of a Trump surrogate if he wore an ill-fitting red tie. Yet even though The House That Jack Built is essentially a 2.5 hour lecture on a subject that's been handled far more efficiently by subtler filmmakers in the past, it's rarely dull. From the opening frames we're reminded that we're in the hands of one of the most ingenious filmmakers of his generation, and even on an off day Von Trier is capable of staggeringly delicious filmmaking. There are moments in The House That Jack Built that could only have come from the mind of Von Trier, and even if they're immaturely designed to shock, you have to applaud their macabre ingenuity. If you have the stomach for it, you'll find striking images here the like of which you've never seen before. If only Von Trier could find a better vessel to contain them. 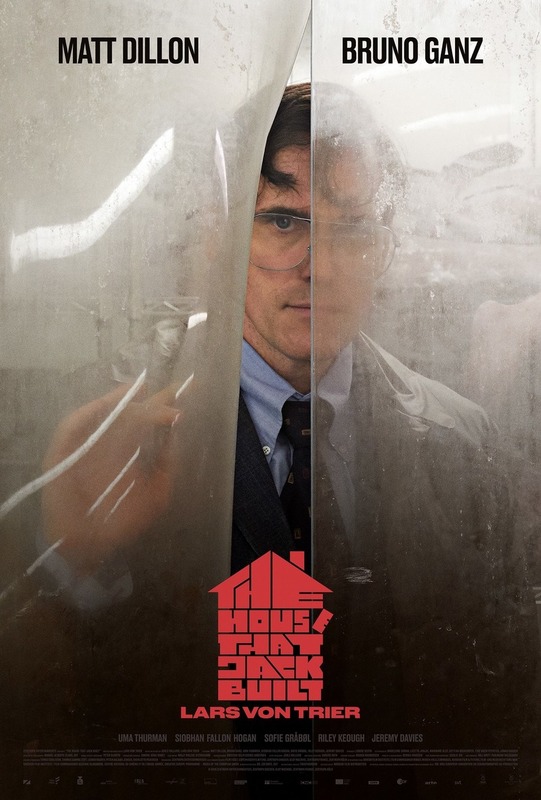 The House That Jack Built is in UK/ROI cinemas and on VOD December 14th.